Commercial coffee machine motors - Images and information. Commercial coffee machine motors – Images and information. Measuring commercial coffee machine motors. Commercial coffee machine motors shown here are available in the online shop. First of all the purpose of this post is to provide information and images relating to those products. Motors vary in size, power rating, volts, revolutions per minute and more. Most noteworthy is the difference in base plate design. While a replacement motor of similar specification will often work, the fixing holes or slots may be different. Manufacturers design base plates on commercial coffee machine motors to different standards. Fitting a replacement spare part motor therefore often requires further fabrication. Distances between slots and holes are shown in the first table below. All dimensions are approximate, supplied for comparison purposes. Dimensions should be compared to existing parts in order to confirm compatibility. Commercial coffee machine fixing hole and slot dimensions. Distance between hole or slot centre (length ways). Distance between hole or slot centre (width ways). Diameter or dimensions of hole or slot. Focusing on the three main types of RPM pumps most noteworthy is one of the three being external. 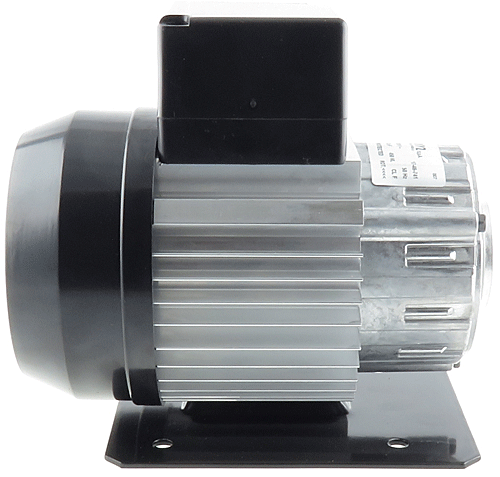 External pump motors being used most commonly with CMA, Astoria and Costa espresso machines. The external motor requires a wiring loom for connection, If the loom is absent a new one needs to be fitted or made. Check the internals of the machine to see if there is a pump motor present there. Especially relevant when choosing a replacement motor is the specification in terms of wattage and RPM if known. The closer the variables, the nearer the compatibility. A significant difference will be noted when using less or more power. The temptation to fit a slim line motor as a replacement for s standard motor should be avoided for instance. This is because the wattage differs significantly. Performance will be incompatible or indifferent at best. In addition to the information shown above the table below list common manufacturers utilising motor types. Most of all note well some manufacturers use more than one type. Often dependant on the model for the coffee machine. Furthemore where available are manufacturers relevant part numbers. SOME ASCASO, AZKOYEN, CIMBALI, DALLA CORTE, FIORENZATO, MY WAY, SAECO, SYNESSO, UNIC, VIBIEMME, VICTORIA ARDUINO, VISACREM. SOME ECM, FUTURMAT, MAIRALI, PAVONI, WEGA. 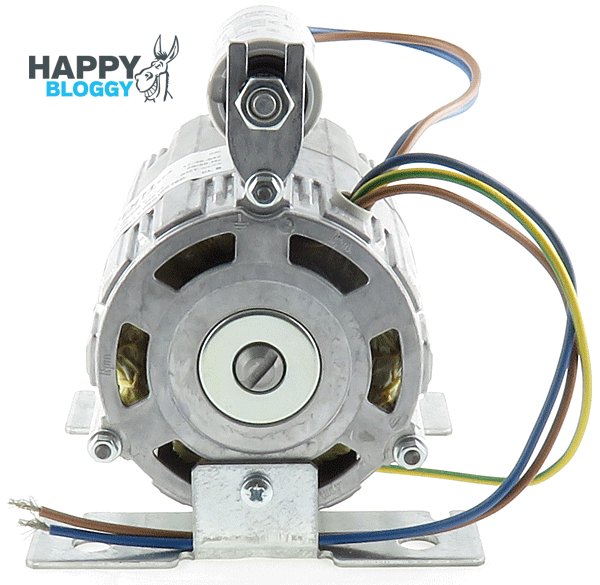 Faulty motors are not worth repairing, rather it is not economically viable to do so. A very noisy motor is most often on the way out. The job of the motor is simple it spins the pump and nothing else. All three motors use a standard Fluidotech PA1504 pump head, the head bolts on to the motor with the supplied clamp, which is bolted on. The shaft is flat and oblong shaped. The Fluidotech PA1504 is the most used pump head on commercial coffee machines. Utilising 3/8 inch connectors for the hoses. Most of all the flow rate is measured at 200 Litres per hour. Pump heads are water lubricated. A pump head left unused for prolonged periods is therefore subject to fail. Pumps stored in minus temperatures will freeze, expand and consequently fail also. Finally pump heads fail more often than motors, it is not uncommon to replace a head every 12 months on a well used machine. In addition need to adjust the pressure of an existing pump is merely an alarm signalling the imminent demise of the pump. This entry was posted in Product Guides and tagged Motor, Pump, RPM on 8th February 2018 by Scott White. Is the motor different for a slimline rpm pump? My brother recommended this website. He was totally right. This post truly made my day. You can not imagine simply how much time I had put in for this info! Thanks a lot! Thank you for the input and taking the time to drop us a comment, much appreciated.